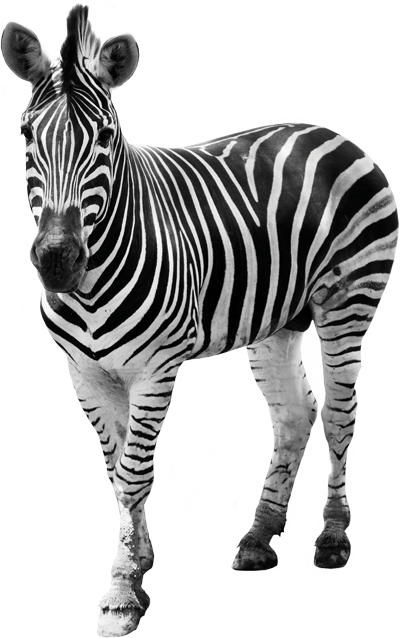 Zebras are related to horses and they both belong to the same animal family. Baby zebras, or "foals", can walk and run just 20 or 30 minutes after they are born. Zebras talk to each other with body language. sounds, and the position of their ears. 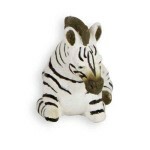 Print the Plains Zebra Character Card! If one zebra spots a predator, it lets out a sharp two-syllable call. The young and female zebras run, while the males trail behind to defend them. If one is attacked, others circle around to help protect it from predators. To keep up with the frequent grinding of plant foods, a Zebras’ back teeth continue to grow throughout their lives.